Glick Family Funeral Home is proud to be serving the Boca Raton community for all end of life care, including both burial and cremation. We are an independent family owned and operated funeral home in Boca Raton, Florida, serving all faiths and denominations within our community. The Glick family has lived in Boca Raton for the past 22 years, and now has three generations living in Boca Raton. Timothy Glick has served South Florida as a funeral director for over 18 years and Rev. Dennis Glick has served our community in the ministry for over 25 years. Having seen the funeral industry change in Boca Raton over the years from family owned to Corporate owned providers, the Glick Family realized the need for a family owned and operated funeral home in Boca Raton that can provide personalized honest care for you at reasonable prices. The Glick Family Funeral Home vision is to provide exceptional care with personalized honest service not to just one faith within the community, but to families of all denominations that make up the multi-cultural community in South Florida. 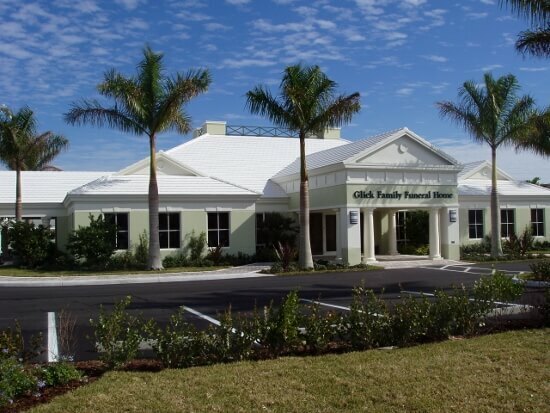 Besides the personalized family owned and operated service that you receive, Glick Family Funeral Home has beautiful modern facilities located on its own freestanding property. 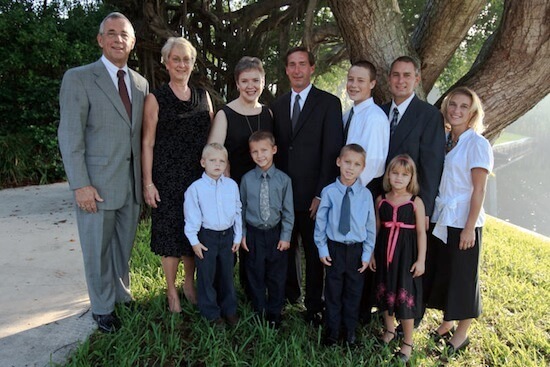 The Glick Family's vision is to serve the Boca Raton community for many years to come. That is why we decided to build the facilities to accommodate the needs of our community from the very beginning. Your loved ones are cared for with dignity and respect onsite throughout the funeral process. Our chapels are capable of providing both a small intimate service as well as a large community visitation. We also have the most advanced technology in the funeral industry allowing us to provide video tributes, online obituaries, and customized ceremonies. We are a full service funeral home providing on-site visitations, funerals, memorial services, graveside services, cremation, cremation services, pre-arrangement planning and we will also honor pre-need contracts from other funeral homes. We know that at your time of need you have many options, but we hope you allow our family to care for yours.